James Collins still on Aston Villa’s radar? 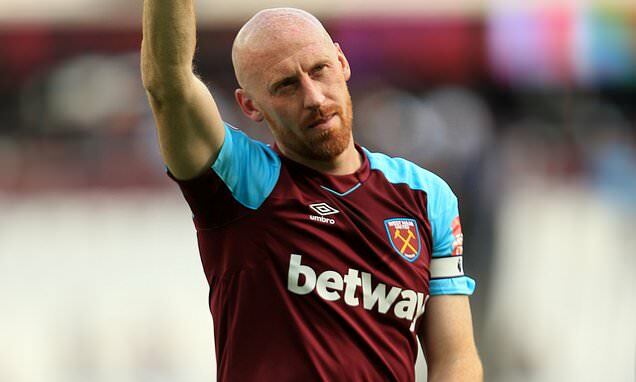 Aston Villa are still interested in making an audacious move for free agent James Collins, who was released from West Ham United back in the summer after spending a decade at the club. The 35-year-old veteran has 14 years of experience in the Premier League and has represented Wales in his career, leaving a number of Championship clubs keen on the centre-back’s services. According to The Daily Mail, the Welshman has been invited to train at Villa Park after the defender recovers from a minor muscle injury. The report goes on to claim that Villans coach Steve Bruce is also considering the return of John Terry on a short-term deal.